I really hate doing a lot of detailed coloring. When working on a project, I want it to move quickly. I would never have tackled coloring all of this card if it had not been for my new Blends. Blends are the new alcohol markers that Stampin'Up is introducing on November 1! Now, for me to color each one of the images is very unusual. It would be stamped in black and white and one of the selected images at the bottom would be colored or the cat and the dog. I found with the blends that they color so quickly with a nice even flow of colors in the shading, it does not take forever. I will be making more of these cards for my animal loving friends. The set used here is Santa Paws. It is found in the Holiday Mini, page 18. #144884 in the wood block and 144889 in the clear block mount. The new Blends can be ordered on November 1. All you need to do is click on Shop Now and place your order November 1 for the blends. 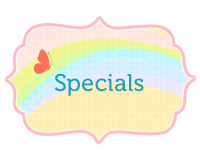 You can orders this cute set that has six stamps now! Card Sketch, use it to create your own card design. Card created using the card sketch. I really love the Graceful Garden stamp set and I am so excited that Stampin' Up! is releasing some new alcohol markers. For this image, I used the Bermuda Bay Stampin' Blend markers to color the rose and the Old Olive Stampin' Blend markers to color the leaves. The Stampin' Blend markers will be available for purchase on November 1. I cut a 5-1/2 in x 8-1/2 in piece of Pool Party Cardstock and folded it in half for card base. For the background, I stamped the small leaves from Graceful Garden on the card base using Old Olive Ink Pad. Then I stamped the small flower from Tranquil Tulips on the card base using Bermuda Bay Ink Pad. And finally, I stamped the background dots from Number of Years on the card base using Pool Party Ink Pad. I cut a 2-1/2 in x 3-1/2 in piece of Bermuda Bay cardstock. Then I stamped the background stamp from Graceful Garden on the Bermuda Bay cardstock with Bermuda Bay Ink Pad. I cut a 2-3/4 in x 4-1/2 in piece of Whisper White cardstock. Then I stamped the large rose from Graceful Garden on the Whisper White cardstock with the Tuxedo Black Memento ink pad. I colored the petals of the rose with both the light and dark shades of the Bermuda Bay Stampin' Blend markers and the leaves with both the light and dark shades of the Old Olive Stampin' Blend Markers. Then I added a few highlights using the Stampin' Blend Color Lifter. I stamped the banner from Number of Years on a 1 in x 3 in piece of Pool Party cardstock. Then I cut it out with the banner die from the Large Number Framelits. I stamped the greeting with the Tuxedo Black Memento ink pad and I sponged the edge of the banner with the Bermuda Bay ink. Of course, you don't have to copy my sample. Use the sketch to create your own card. There are so many different things you can do with this sketch. Just go and have fun creating. I would love for you to share your card using this pattern. Send me your sample joycepacer@comcast.net so I can share it with everyone. Only a few more days until November 1 and the new alcohol markers, Blends, will be available to order. Being a demonstrator, I was able to order mine the first of October so I could play with them. I love them. They are so bright and blend so well. If you have not used alcohol markers, they are a little different to work with. When you are coloring with them, you need to use the Memento Ink to stamp the image. Stazon and the Archival inks will bleed into your colored area if they touch together. You also need a coated cardstock such as the Stampin’Up Whisper White or Very Vanilla. Other types of cardstocks will blend out of the stamped image. Always work on scrap paper under your work to protect your table top. You want the ink to bleed through your cardstock. This assures you that you have enough color. I prefer to cover my image with the lighter shade, then come back and shade with a darker shade of the same color. Then, go back over with the lighter color. Always do a small area at a time. As an example, if you are coloring a flower, color only one or two petals at a time. The ink needs to be damp in order for it to blend with the other color. You will want to place your orders for these great markers as soon as possible. The nice thing is, you can order a single marker for $4.50 or the two-color combo for $9. I could not wait so I order the whole set which gave me the twenty-six colors which included the two skin colors and the color lifter for only $121. Stay tuned for more information on November 1. I had forgotten how much I love alcohol markers! I had forgotten how great alcohol markers are to work with. With very little practice you can all color to your cards like a professional. They have a light and a dark in the same color. I like to color one section with the light color and then go back and add my shading. You will see a line where the two meet. Next, go back over the light again and blend in in to the dark until you do not see where the two colors meet. Color smaller sections one at a time so the ink does not have time to dry before you blend the two colors. The colors are so clear and brilliant. Your coloring looks so professional. Today I colored the tree in the Santa Paws set. Now, I vowed there was no way I would color each of those kitties and doggies that make up the tree. I had to tackle it with the Blendies and it went so quickly, I was surprised. I love the outcome of the card. 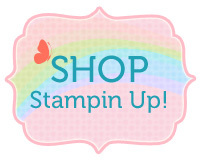 Stampin’Up should be announcing the sale of the Blendies before the end of the year. It is my guess, it will be in December. Note, I said “guess”, I have no inside information, only the experience of seventeen years with the company. When I signed up to become a demonstrator, I did it only to get the discount for myself. Little did I know that seventeen and a half years I would have my own stamping business to supplement my retirement business and mainly keep me active and busy. Love this company and so thankful for all they help they give me. 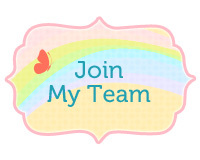 I would love for you to become a member of my stampin' team. Click on Join Now and read more about what a wonderful deal this is. The Spooky Night suite, new in the 2017 Holiday Catalog, surprisingly there is not anything spooky about it. The suite is cute without being too cutesy. It has cats, witches’ hats, hooting owls, bubbly potions and a sneaky little rat. Included in the suite is a cat punch. The punch measures approximately 2” x 2” and it coordinates with the stamp and the designer series paper. This little guy would be precious looking out of the window from the Hearth and Home thinlits set. With our many products, there are so many possibilities to let your creative juices flow. See, I told you he’s not just for Halloween! The designer series paper has 12 sheets: 2 each of 6 double-sided designs. 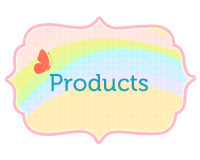 It is perfect for boxes, treat packaging, envelopes and traditional scrapbooking. Just think of the possibilities for those fans of the wizarding world! The owl can be stamped on the tree designer series paper. The coordinating colors are Basic Black, Cajun Craze, Pumpkin Pie and Very Vanilla. The Vintage Crochet Trim and Black Rhinestone Jewels embellishments in this suite are wonderful. The Vintage Crochet Trim has a spider web kind of feel to it, yet it is versatile enough to be perfect for your year round projects as well. The Black Rhinestone Jewels…ARE great. Both of these embellishments are cute for Halloween projects, but also elegant on non Halloween projects. You still have time to order these items and receive them in time to make your Halloween cards and treat holders. 146014 The Spooky Cat Bundle $31.50 or the set only 144749 $17 and the cat punch 144666 $18. Just click on Shop Now and place your order now in order to receive it in time to make your Halloween cards. I had a question on the Faux Suede technique used on this masculine card that I posted Tuesday. This is a very simple technique but you must use a double layered cardstock which is what Stampin'Up cardstock is. Many cardstocks are not double layered and colored completely through. Cut out the shape you are going to use. Here I used a banner. Lightly mist the shape with water. Start wading up the cardstock, over and over until you get it waded up into a small ball. Carefully spread this layer out flat. Careful not to tear this since the cardstock is damp. Take a corner of the piece and separate the cardstock into two pieces. You will have two banners. One side will be flat and the other a fuzzy texture. This is the side you will be using. You may need to use your piercing tool to start the separation. Remember, the cardstock has two layers. When these are dry, using a dauber or sponge, lightly sponge the same color on the fuzzy side of the cardstock. Your Faux Suede layer is ready to use. This is great to use on masculine cards. Stampin'Up cardstock all has two layers and the color is completely throughout the cardstock There are forty-eight colors plus ten additional In-Colors which change every two years. You can check out the great colors in the Stampin'Up 2017-2018 catalog by clicking on Catalogs to view. You can place your order by clicking on Shop Now. Does Creating Masculine Cards a Problem for You? Do you have a problem when it comes to masculine cards? I often hear, I have a terrible time coming up with ideas for masculine cards. Really, feminine and masculine cards are not much different. You only need to use items that have more texture, more neutral colors on the earth tones, and simple lines to make a masculine card. Let’s take this simple card pattern. It has the card, a base layer of cardstock, two different papers, a banner, and a circle along with three simple embellishments. Very simple and not fussy. Remember, when using a card pattern, you can change positions of the pieces. Now, using the pattern and the same pieces, let’s make a feminine card. Here I used Pool Party, Sweet Sugarplum, and Petal Garden DSP paper stack. The embellishments. It has two different papers, a circle, and a banner and the three rhinestones. I lifted the banner. In the circle I stamped Happy Birthday from the Special Celebrations stamp set. The verse is inside. With the flowers, and pastel colors, we think of a card for a female. Then I wanted to make a masculine card using the same pattern. Same banner, two different papers and a circle and three embellishments. I used the Wood Textured Designer Series Paper Stack, Early Expresso cardstock, Garden Green layer on a Very Vanilla card. The banner, to add more texture, I used the Faux Suede technique on the cardstock, I colored the dots with a Sharpie Marker and the verse is stamped in Early Expresso In the circle I stamped the verse form Special Celebration and the Happy Birthday is inside. So, there is not much difference in a masculine and a feminine card. Just change your ingredients for making the cards. For masculine, think Texture, Simple Lines, Earthly and Masculine colors, and simple embellishments. Don’t let Masculine cards scare you. All of the materials used in these cards are found in the Stampin'Up 2017-2018 catalog. You can shop now by clicking on Shop Now. But, even if you don’t have the Big Shot, you can still add texture to your cards. Using the Simply Scored Scoring Tool is a great way to add texture to your card fronts. If you don’t have this tool, you can also use your Stampin’ Trimmer with the scoring blade for these techniques. You can also create a diamond pattern, which makes a nice background. I hope you will try some of these tips that were shared with me by a friend. I especially love using these when I am in a hurry or doing a class away from my workshop. Give one or all a try. I would love to see what you do with these great tips. What I hear most often from potentially new stampers is “I don’t have any talent or creativity.” This couldn’t be farther from the truth because I believe that it isn’t so much creativity but more, knowing your tools and practicing. Once you hold or attend your first workshop and make your very first card, you can count on being hopelessly hooked on paper crafting. Finding, that you DO have talent and creativity is inspiring and opens a whole new world for you. It is not necessary to own every crafting tool available on the market. As you get more experienced with the tools you do have, you will gradually step outside the box to experience new challenges. A few of the absolute necessities you will need are as follows:  card stock in two or three colors which coordinate plus a neutral Whisper White or Very Vanilla;  ink pads – a black or brown ink will do initially;  a trimmer (Stampin’ Up! is the best by far, it scores too);  adhesive – Snail and Tombow;  envelopes;  paper snips; and  stamp set with all occasion sentiments. “CASE” means “Copy And Share Everything”. It is very common to use someone else’s design or idea and just change it to suite you; perhaps a different color card stock, a ribbon or bow. Using Pinterest or other websites for ideas or workshop demonstrations is acceptable in the crafting community. We love to share! Finally, like any hobby, sport or challenge, practice, practice, practice is important! You have to try those techniques to see how they are done and the many ways they can turn out. Specific stamps, depending upon their size, mount or brand may handle a little differently. It is best to experiment first before using the stamp on your final project. Experimenting is not failure it is just one step closer to perfection and everyone’s perfection is different. Happy Stamping! If you live in the Tri-State area of Huntington, West Virginia, I have a great beginning stamper class, "Snips and Tips for Beginners". Contact me.